No, this is not about famous sleuths solving a puzzling crime. Agatha Christies’ characters Hercule Poirot and Miss Marple have never been involved in cases involving Queensland Railways although they have solved murders on famous European trains like the Orient Express or the Blue Train. Hollywood films about the American Wild West have served to popularise daring train robbers Butch Cassidy and the Sundance Kid or Jesse James. The movie bad guys are usually caught while famous crime writer Agatha Christie’s detectives identify the culprit at the end of the story during a tense confrontation with those characters who have survived without being murdered during the story. Robberies involving Queensland trains are relatively few. However, there are two robberies that have never been solved. During the evening of 31 August 1938, a mail train was robbed while travelling between Cloncurry and Duchess. The events unfolded when two men on horseback stole mail bags from a locked mail van. The two bags taken contained the payroll of £3,000 destined for miners’ wages. It is believed that the robbers were assisted by someone on the train. No-one has ever been brought to trial though the train guard was under suspicion as the “inside man”. 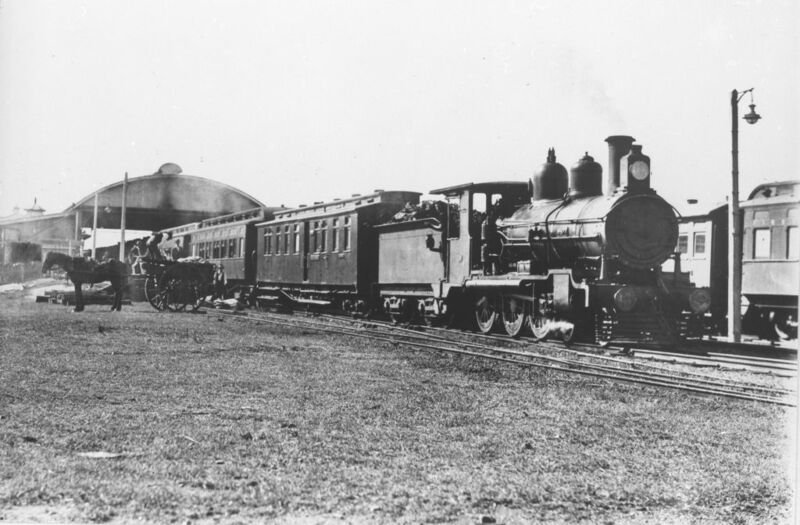 Mail train at Charters Towers, circa 1920s. 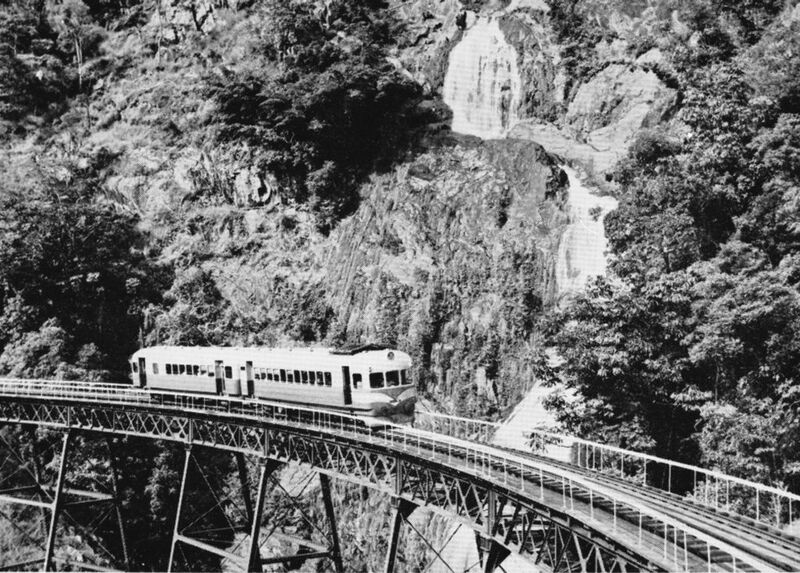 On the 6 December 1973, an 1800 Class railmotor No.1819 towing a single trailing car was robbed during the ascent of the Cairns Range. During the approach to Tunnel No.6, about 20 km from Cairns, the railmotor was stopped because a large rock was blocking the track. Two men, dressed in black, wearing dark sunglasses and motorcycle helmets approached the train and absconded with just over $7,000, being the wages for track workers on the rail motor’s journey to Ravenshoe. Just like the Cloncurry theft, these robbers were never caught. Both of these infamous incidents remain a mystery to this day. Two-car 1800 class Rail Motor on the Cairns Range, circa 1965.